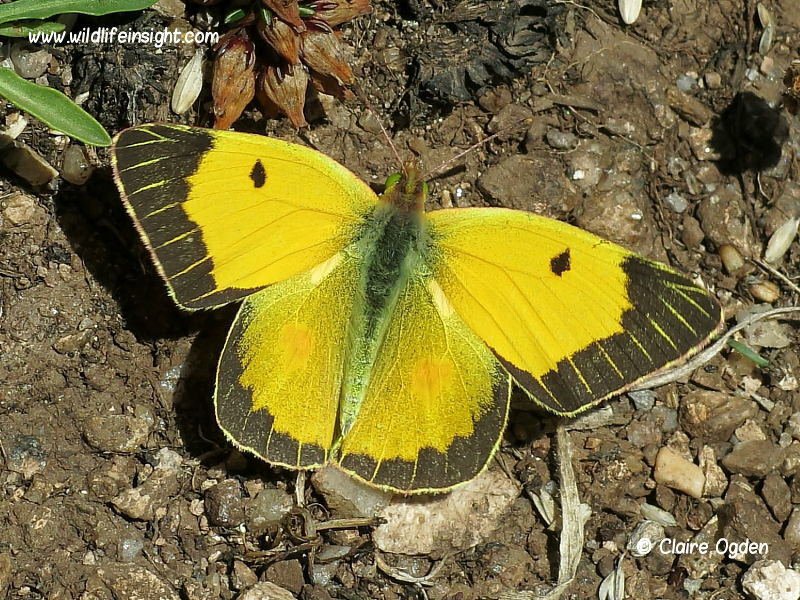 The one disappointing thing about seeing lots of Clouded Yellow Butterflies, Colias croceus, is that they rarely sit still with wings open. This is a real shame as they really are magnificent butterflies. 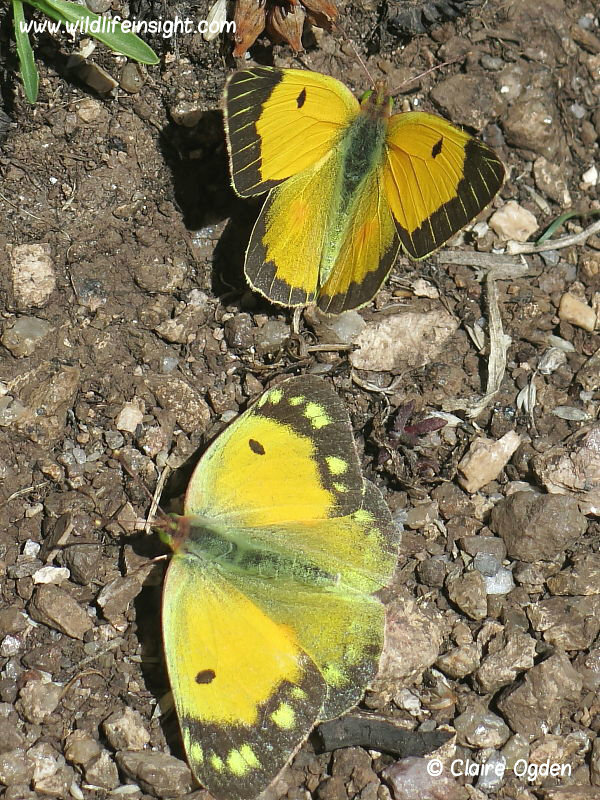 Amongst the many Clouded Yellows seen, which included an unusually high percentage of pale helice female forms, this courting pair landed on the path. This rare photographic opportunity presented itself for a few seconds right in front of Claire ! Two of her images are featured. And did the fact that I had the wrong lens on ( again! ) make me grumpy ? You bet it …. did ! Seen with wings open provides the opportunity to see more easily recognisable differences between the sexes. The overall strength of colour may vary between sexes and individuals but the dark edging is usually consistent.